The SIN R1 GT4 is the ultimate modern supercar ready for GT4 competition. Developed in Europe by Rosen Daskalov, the SIN R1 GT4 is homologated for FIA GT4 and approved for Pirelli World Challenge GTS, FARA, NASA and NARRA among other sanctioned race series. The SIN R1 GT4 offers a true mid-engine tube frame chassis packed with modern features. It’s powered by a 432hp Chevy LS V8 and available equipped with a 6-speed Albins ST6-M sequential transaxle. Albins ST6 gearboxes were first developed for Australia’s V8 Supercars. Other SIN R1 GT4 features under the sleek carbon fiber body include traction control, Bosch racing ABS brakes, and a MoTec dash / data logging system. 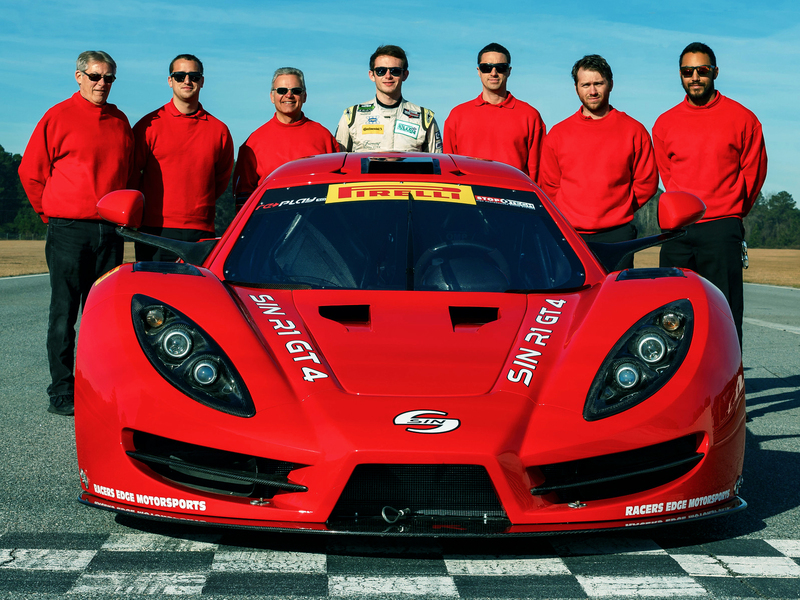 The SIN R1 GT4 supercars were brought to the US by Jon Mirachi, owner of Racers Edge Motorsports in Deland, Florida. Learn more about the Albins ST6-M.
More SIN R1 GT4 info here.